For graduate students who need a break from studying, reading, writing, teaching, and research. Taking time for yourself helps to reduce burnout and increase productivity. 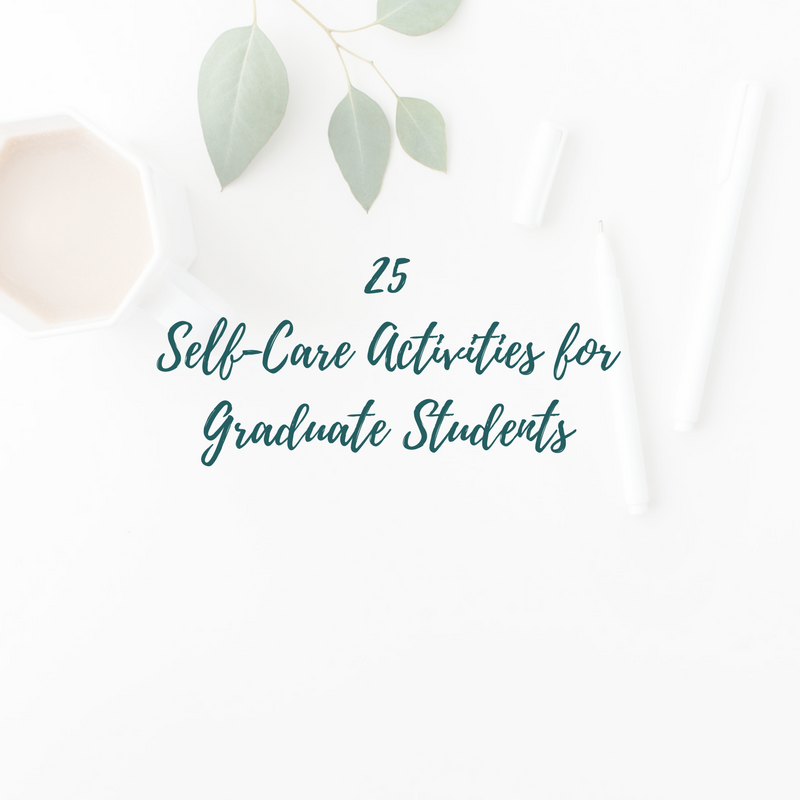 Download the list of 25 self-care activities for grad students by signing up below.